VDI-in-a-Box 5.4 provides support for Windows 8.1 virtual desktops and Windows Server 2012 R2 Hyper-V. It also includes a range of enhancements that increase VDI-in-a-Box’s flexibility and a range of power tools for administrators. If you want to migrate your VDI-in-a-box platform to a XenDesktop 7 platform, there is now a wizard included in VDI-in-a-box 5.4, that lets you easy migrate your images, template configuration and user assignments. Note !!! 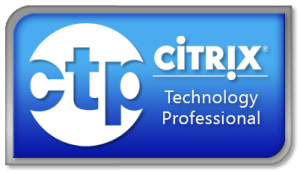 – Citrix VDI-in-a-Box does not support HDX3D Pro. Create Windows 8.1 desktops and run them on any supported hypervisor. Windows Server 2012 R2 Hyper V is now supported. You can also use Windows Server 2012 R2 desktops with HDX connections. Grids running on Windows Server 2012 R2 Hyper V and Windows Server 2012 Hyper V can use shared storage. 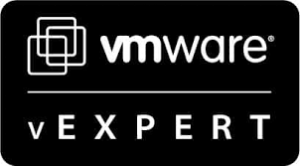 VMware vSphere ESXi 5.5 Hypervisor is now supported. Use devices running HTML5-capable browsers to access VDI-in-a-Box desktops without StoreFront. This allows devices such as Chromebook to access VDI-in-a-Box desktops without additional server components. If you use Active Directory as a user database, you can place the computer objects for VDI-in-a-Box desktops in more than one domain. This allows you to separate your users into different domains and meet regulatory or compliance requirements in your organization. For more information, see Use VDI-in-a-Box with Active Directory. Users can log on using smart cards when accessing desktops through StoreFront from non-domain-joined Windows devices. You can specify multiple host names on a single SSL certificate, which is more cost-effective than using a wildcard certificate. This enables you to specify the grid IP FQDN as the common name and add subject alternate names for the FQDNs of the individual vdiManagers. For more information, see Manage SSL certificates. Install existing SSL certificates through the Manage SSL Certificate wizard. For more information, see Manage SSL certificates. Time-share user devices among multiple user names where each user name is shared by a group of users: in a classroom or lab environment, for example. In previous releases of VDI-in-a-Box this was achieved through setting your entire grid to generic user mode. 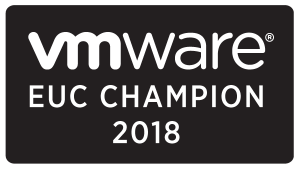 You now have the flexibility to support shared user accounts and dedicated user accounts in the same VDI-in-a-Box grid just by clearing a check box on an individual template. For more information, see Configure shared user accounts. Generic user mode is now reserved solely for avoiding user name verification after the user logs on to a desktop. For more information, see Configure generic user accounts. You can save an existing image under a new name. This gives you the flexibility to easily create backups, or experiment with different image settings. If you need to pilot a new version of an image for a pooled desktop, you can update an existing image, save it with a different name, then edit an existing template to use this image. When testing is complete it’s easy to either continue using the updated image, move back to the previous version, or create subsequent versions if you need to continue testing. For more information, see Manage images. You can edit an existing template for pooled desktops and base it on a different image, provided the image is compatible with the template properties and existing desktops. This enables you to test new versions of images, as described above. For more information, see Manage templates. Launch Windows Remote Assistance from the vdiManager console, enabling administrators or support staff to share users’ screens and shadow their sessions. For more information, see Manage user sessions. If you need to move your entire VDI-in-a-Box deployment to XenDesktop, this easy-to-use wizard exports your images and generates PowerShell scripts that you can run to migrate all template configurations and user assignments to a XenDesktop deployment. For more information see http://support.citrix.com/article/CTX136081.